North Korea's official newspaper called Monday on its military to take a leading role in building the country's economy on the anniversary of its late former leader's inauguration as the supreme commander of the Army. "(The military) should create breakthroughs at every difficult corner of building an economic powerhouse and touchstones of the era in every aspect, including ideology, spirit of struggle and lifestyle," the Rodong Sinmun said in a front-page editorial. The editorial was published on the 27th anniversary of late former North Korean leader Kim Jong-il's appointment as the supreme commander of the Korean People's Army. 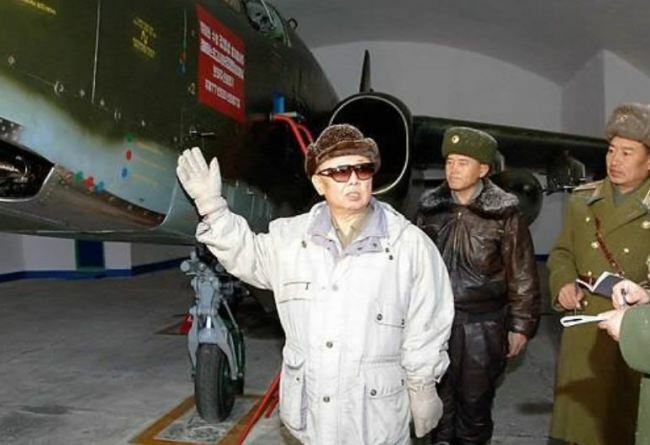 Kim, the father of current leader Kim Jong-un, took power in 1994 and advocated a military first, or "songun," policy. The paper said late Kim's focus on strengthening the country's military led to a significant improvement in the North's national power. It, however, stopped short of mentioning the regime's nuclear program or its confrontation with the United States, as was the case with its articles related to the seventh anniversary of Kim's death last week. The editorial contrasts with the paper's stance on major anniversaries last year, when it publicized the late leader's achievement of building a nuclear state. The change appears to be in line with current North Korean leader Kim Jong-un's earlier vow to push for economic reform. In April, Kim unveiled a new line of policy to focus on boosting the North's economy, shifting from the "byongjin" policy of simultaneously seeking nuclear and economic development. The article is also seen as an attempt to soothe the military, which might feel sidelined after North Korea began denuclearization negotiations with the US, though the talks have been stalemated.